A while back, Jetlink grounded it's planes after the company ran out of funds. The problem was caused by inability of the company to access South Sudanese dollars paid to the firm in South Sudan, to US dollars. It therefore exhausted its cash reserves from other countries, while having money in South Sudan, but in a currency hard to convert to other currencies. James Mwangi, Group CEO, Equity Bank in December explained how the bank was able to assist clients facing a dollar crunch in South Sudan continue operating amidst the crunch. “We are very lucky that we bank all the missions in South Sudan, literary all the embassies in the country, most of the NGOs in South Sudan, so when they bring their cash, we use that to support our customers, because they are bringing dollars, they want South Sudanese pounds. I’m not saying there’s no crunch, but we have come out of the position best positioned simply because of that ability,” Mwang says. Mwangi says that a second advantage is that it is the biggest bank in the country in terms of customers, and it has developed a good working relationship with both citizens and the government there. This means the bank is able to deal with emergencies and “critical situations” with the government’s support. The bank borrowed a US dollar equivalent of KSh. 22 billion from the China Development Bank, IFC and FMO to support clients in the country doing regional trade. “That’s why you have not heard of any of our customers complaining. I still have $ 150 million still available for SMEs. We know the situation is temporary, we could still lend those people and hold the dollars in South Sudan as collateral and lend them US dollar facilities here. 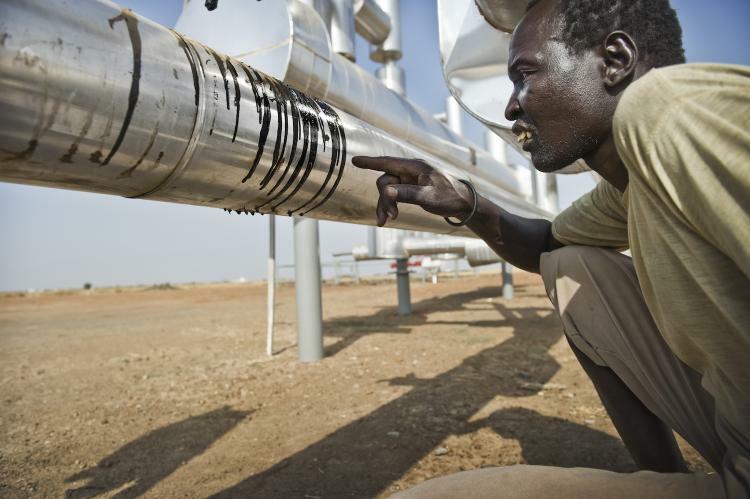 When they start exporting oil, that is the collateral,” he says. “You saw when everyone shrunk their balance sheet, our loan book as of September went up by 20 percent. We became creative and provided the facility that supported those who had strains in dollars,” says Mwangi. Companies though have set limits for what they can borrow. We used their accounts (South Sudan) to lend them in US dollars in the Kenyan market. “That is why you will find Equity is so popular, it understands and comes up with a crafty solution, “ Mwangi quips. As for plans to establish in Ethiopia, Mwangi says the bank is studying the special trade arrangement to see what the bank can and can’t do. The Special Trade Arrangement allows Kenyan banks to open representative office, but not roll out fully fledged operations (See, Ethiopia locks out Kenyan banks as it opens up market http://www.businessdailyafrica.com/Corporate-News/Ethiopia-locks-out-Kenyan-banks-as-it-opens-up-market-/-/539550/1627020/-/12y02cpz/-/index.html) He however believes that once Ethiopia joins the World Trade Organisation, the market will be wide open.